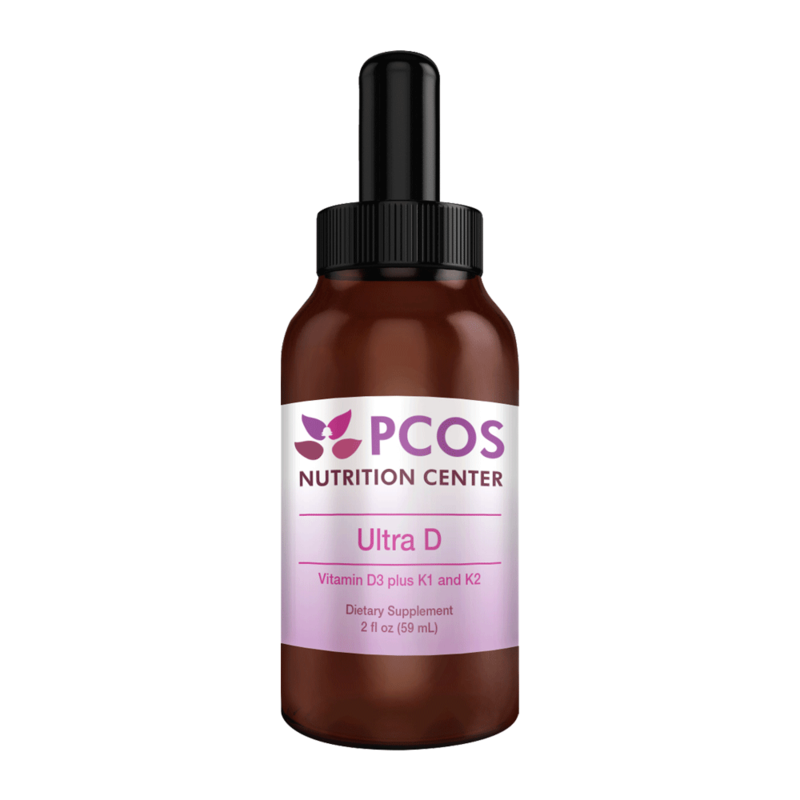 Highly bioavailable liquid Vitamin D with K1 and K2 for maximum absorption. 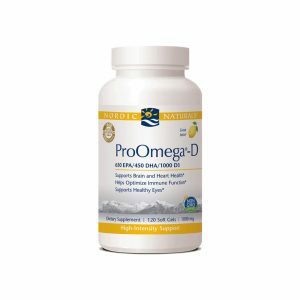 High quality fish oil with Vitamin D. Double-strength EPA+DHA for increased omega-3’s with added natural vitamin D3 benefits in fewer soft gels. 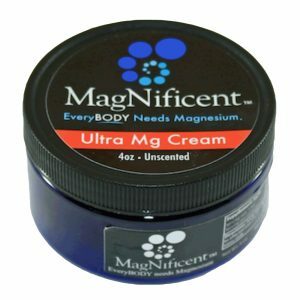 Available in 60 count or 120 count sizes. 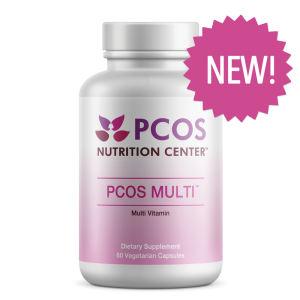 Lemon flavored gel capsules. Third-party tested for purity and accuracy. Non-GMO. Save 10% when you purchase a bundle! 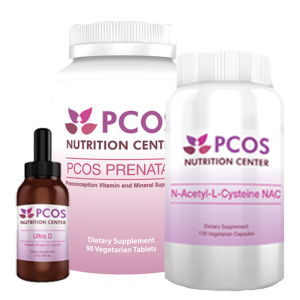 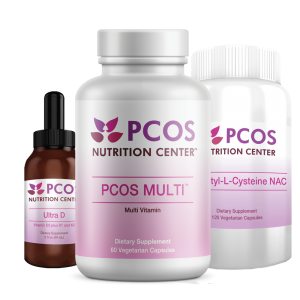 PCOS Nutrition Center Core Bundle includes the core essential supplements to help manage your PCOS. 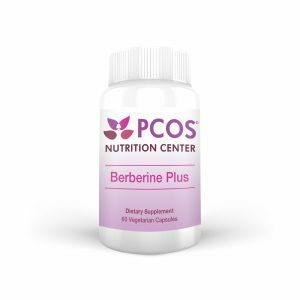 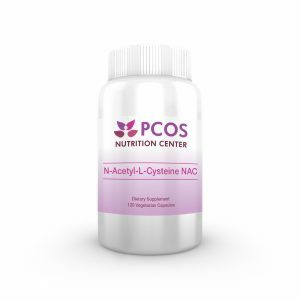 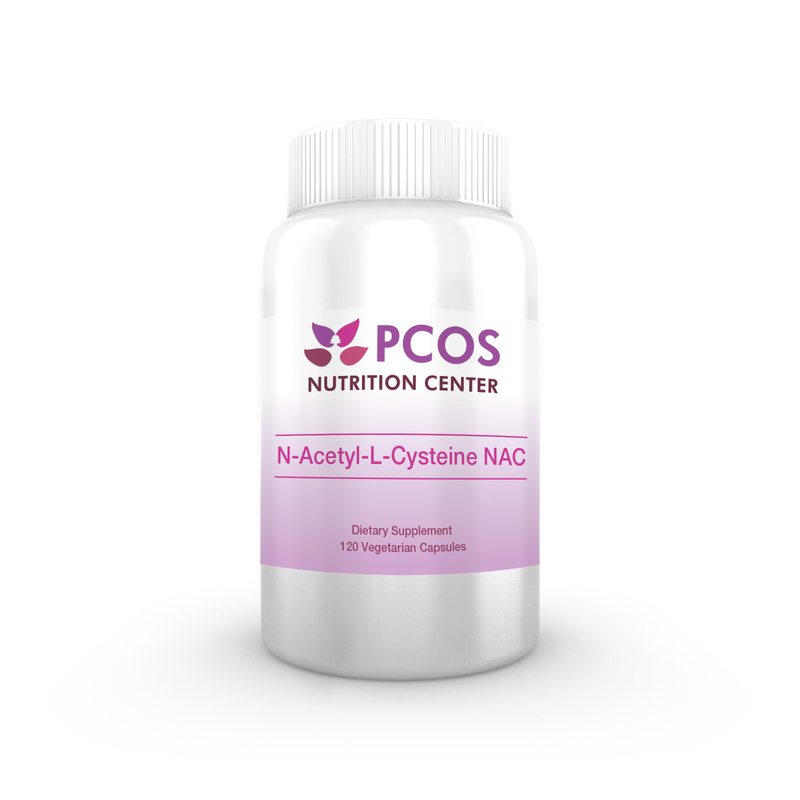 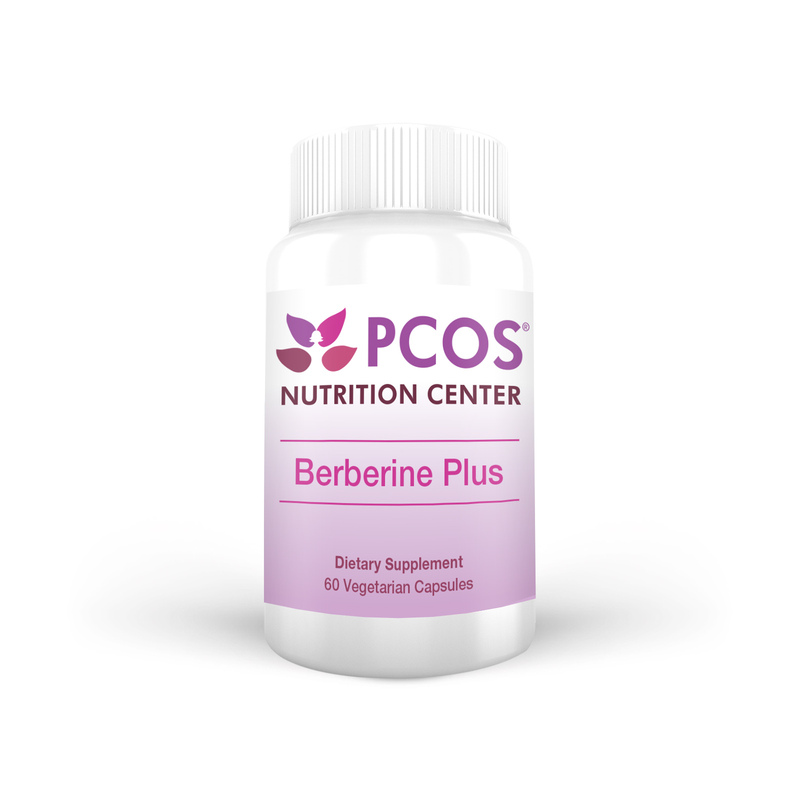 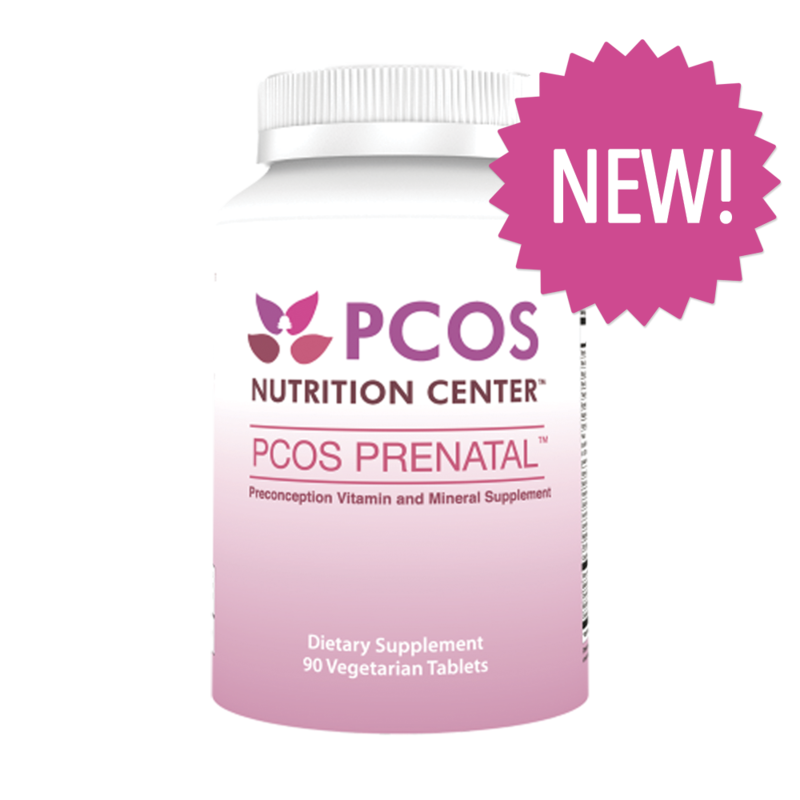 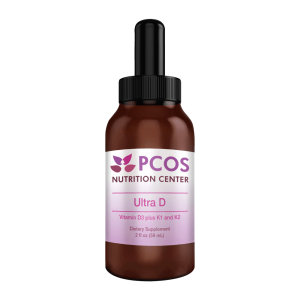 Includes PCOS MULTI, Ultra Vitamin D, and N-Acetylcysteine (NAC). 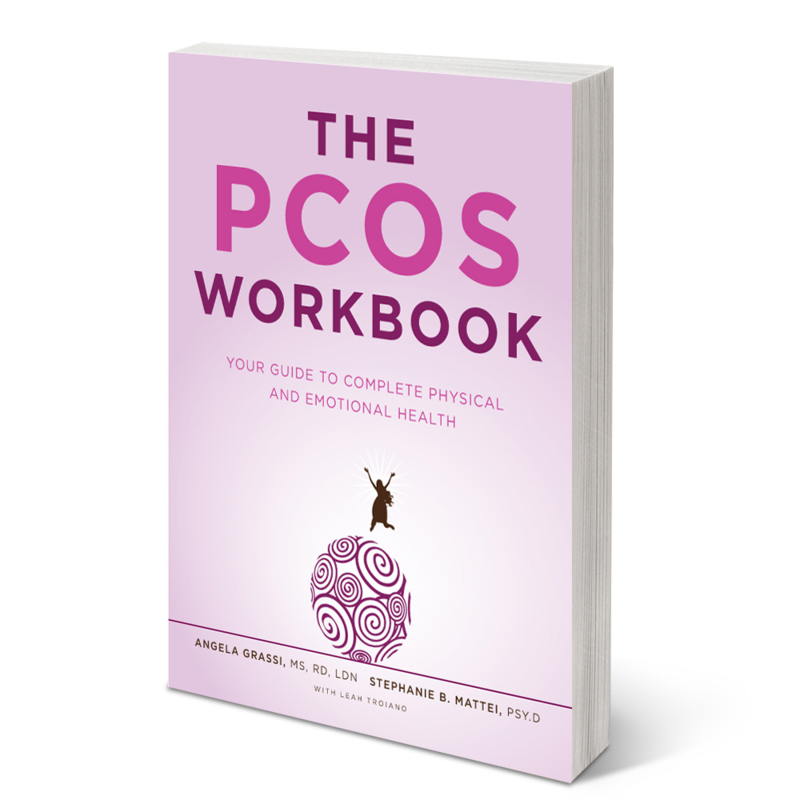 The PCOS Workbook, a practical and comprehensive guide, helps you understand not just the physiology of PCOS, but what you can do about it. 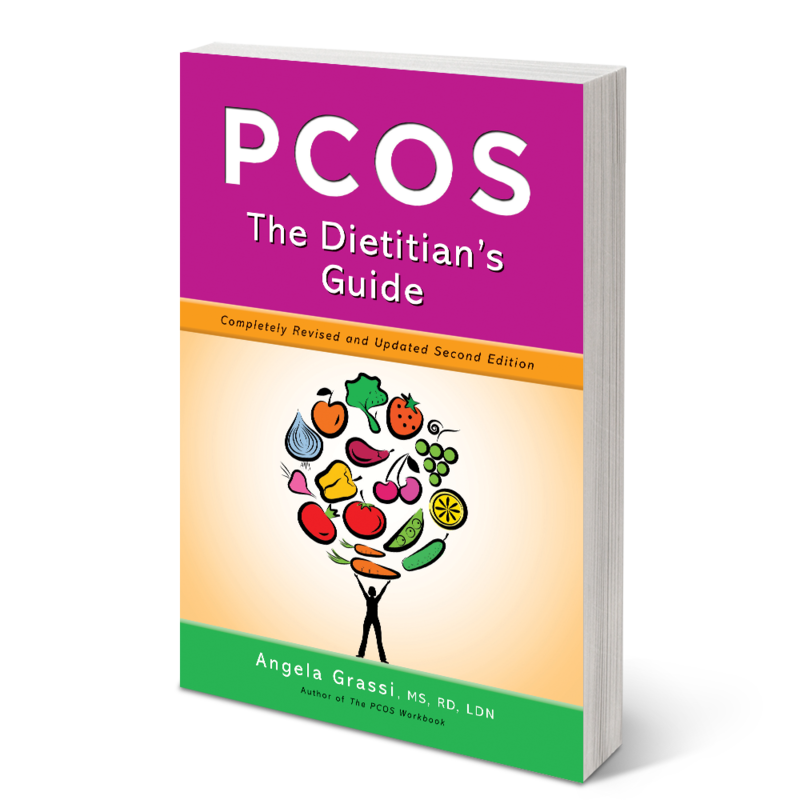 Step-by-step guidelines, questionnaires and exercises will help you learn skills and empower you to make positive changes in your life that might not get rid of PCOS, but will help you live with it harmoniously. 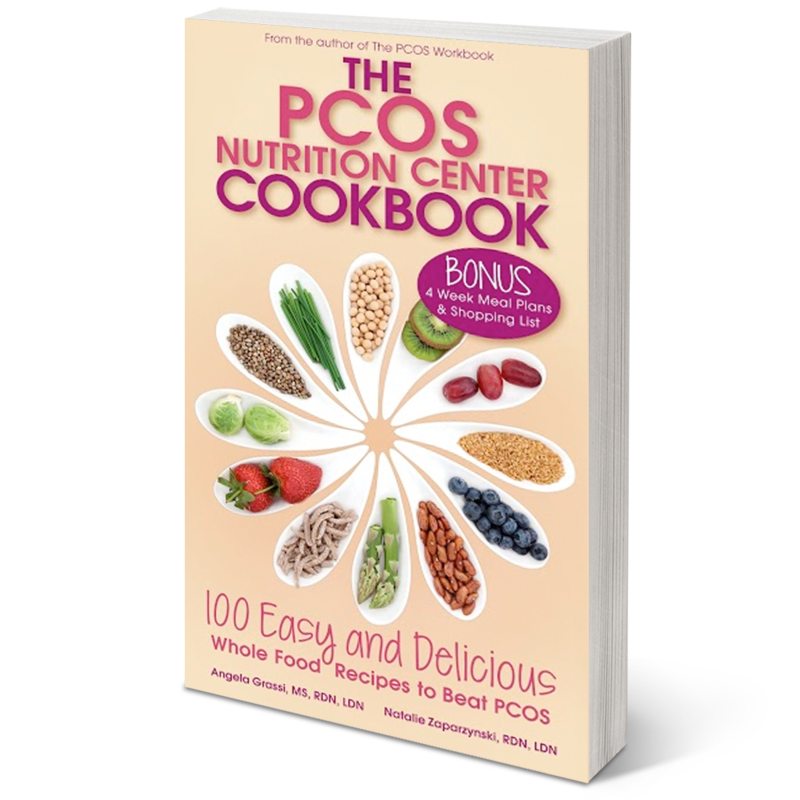 Created by the registered dietitian nutritionists from the PCOS Nutrition Center, women who have PCOS themselves, this cookbook provides a summary of science-based know-how on what to eat (and what to avoid), as well as 100 easy and delicious whole food recipes, to beat PCOS. Includes BONUS 4-week meal plans and shopping list. 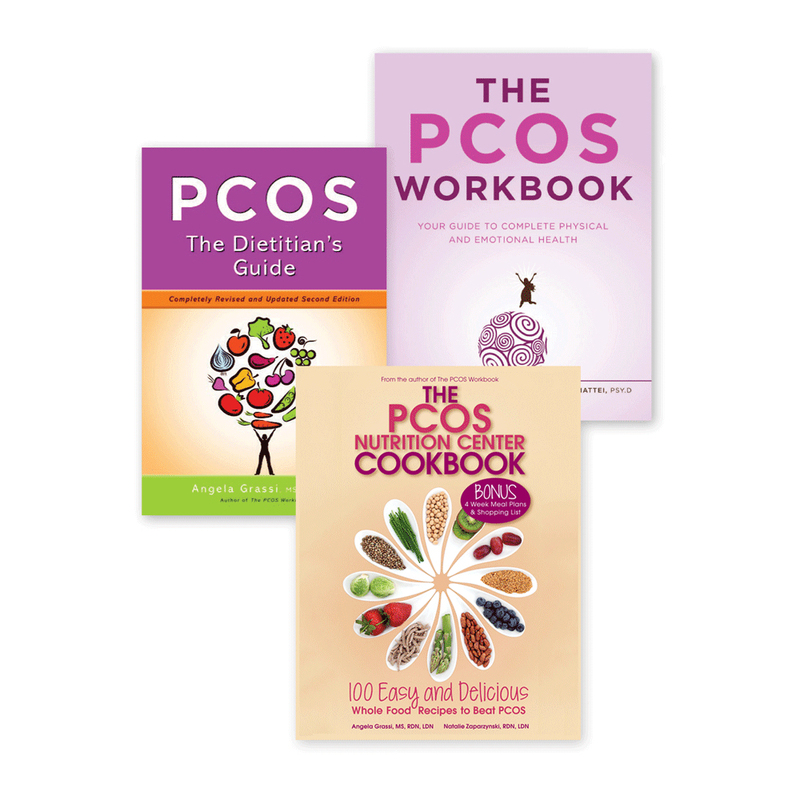 Save an extra 15% + FREE Shipping when you purchase all three books! 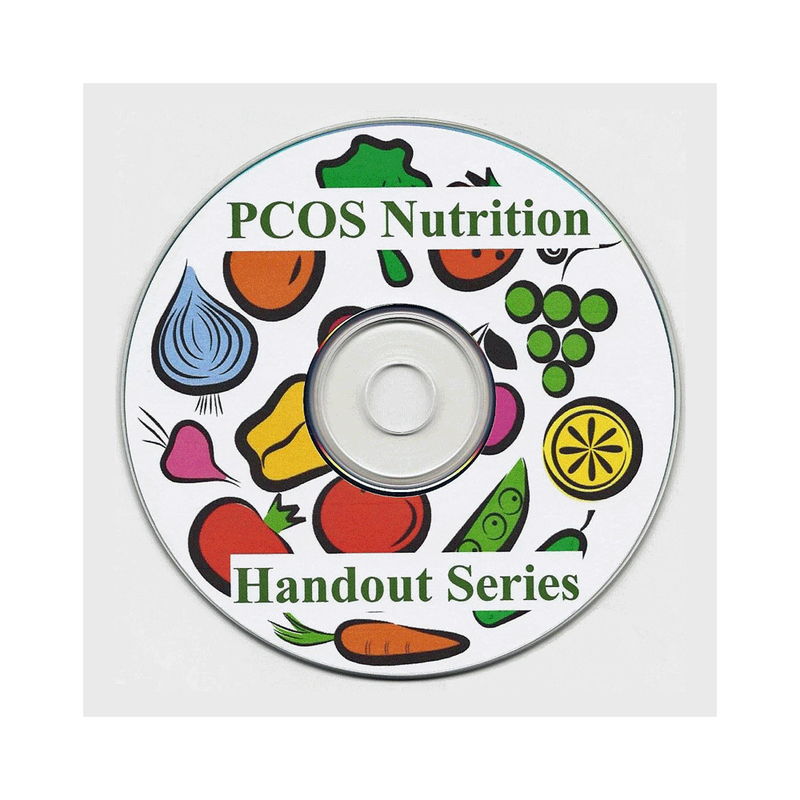 RDNs and nurses earn 15 or 25 continuing education credits from the comfort of your own home. 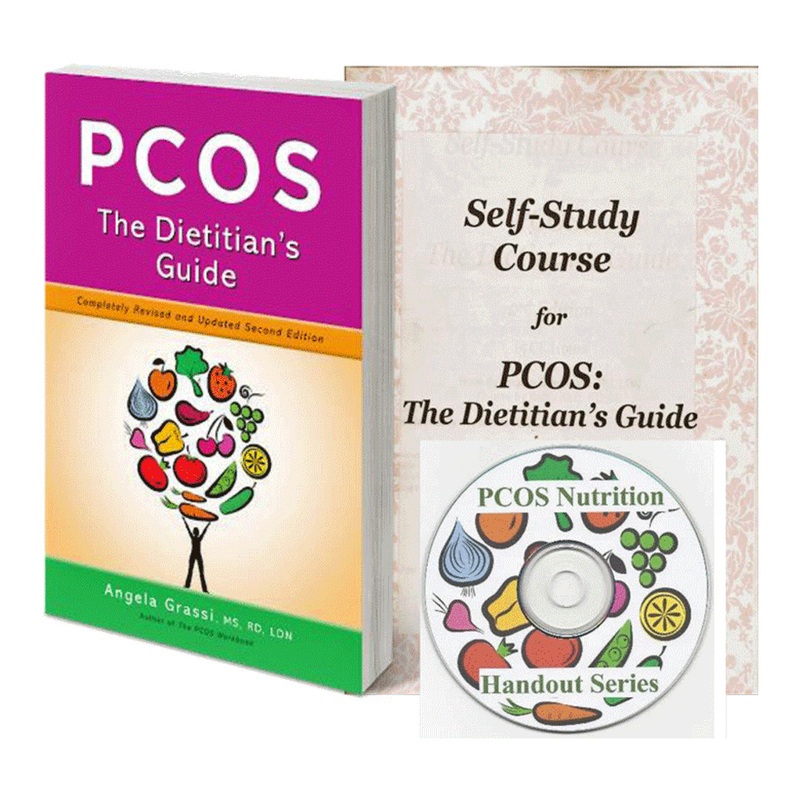 Course is open-book: you read the book and answer the questions. 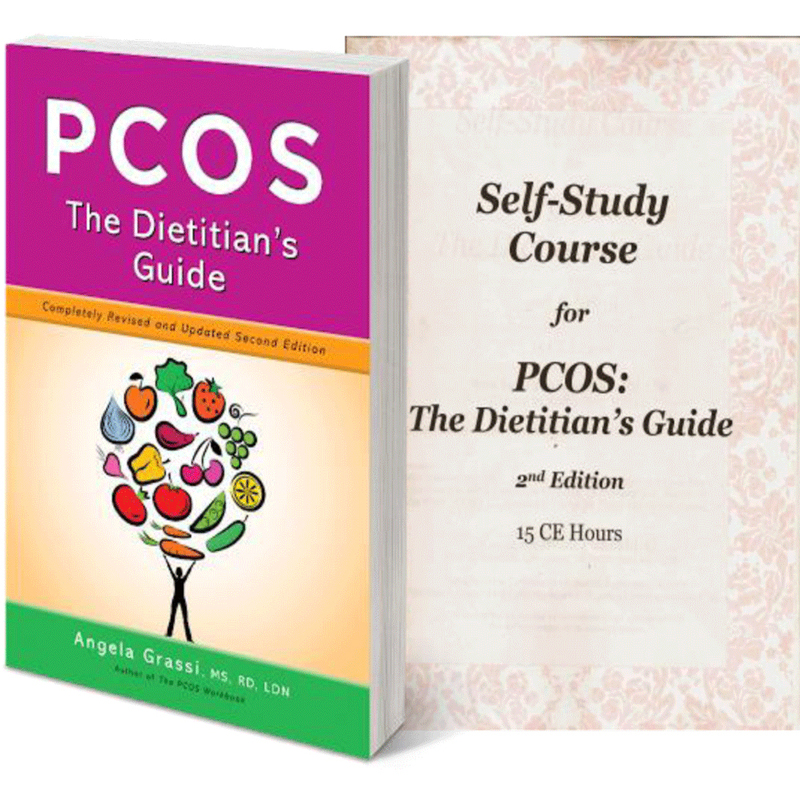 PCOS: The Dietiitan’s Guide, Handouts, & Continuing Education Test (25 CEUs) for RDNs and nurses for only $210!